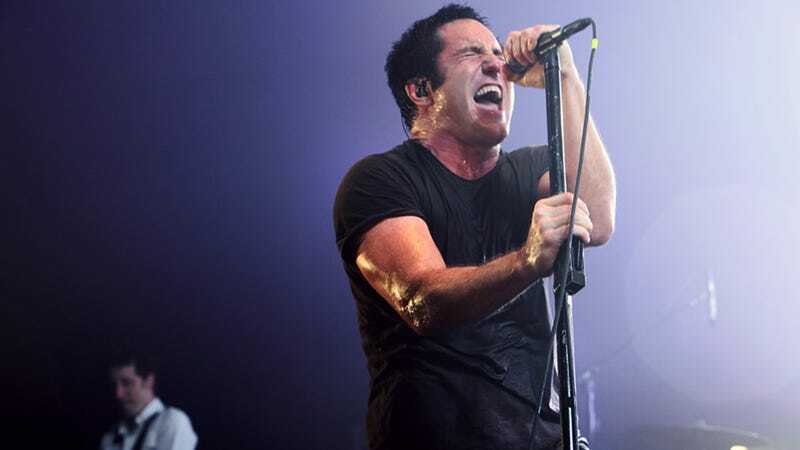 Trent Reznor has a treat for audio nerds. When Nine Inch Nails' new record Hesitation Marks drops next week, it'll be available in regular and audiophile versions. The two sonic flavors will be mixed differently—One mix for the headphone clutching masses who demand "loudness," and one mix for the nerds who want to hear every frequency the way it sounded in the studio. Usually, when a record is mixed for CD, iTunes, etc., it's sent off to a mastering engineer who transfers the final mix of a record information from the original source down to a "master". In the process, the mastering engineer sets the final master level for the music, and these days, the convention is to boost the level final level of the sonic media as far as it'll go without clipping any of the frequencies. The biggest issue in mastering these days tends to be how loud can you make your record. It is a fact that when listening back-to-back, loud records will come across more impressively, although in the long run what you sacrifice for that level can be quality and fidelity. The problem is that when you're handling bass-heavy music like NIN, prioritizing the mastering level to the max requires that you dial back the bass in the mix. The alternative is to leave the bass in, and let the record be a little quieter. The louder record will sound more impressive, but the quieter one will have more texture and nuance.